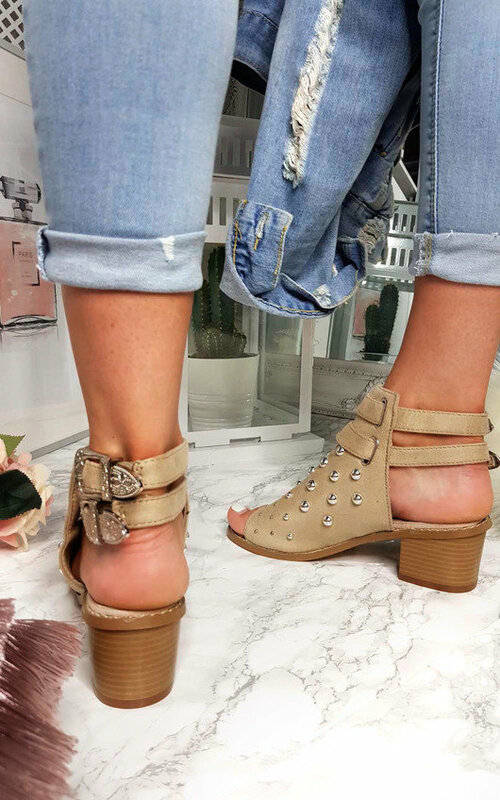 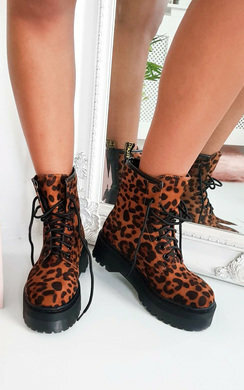 Get festival ready with our 'DAISY' peep toe ankle shoes! 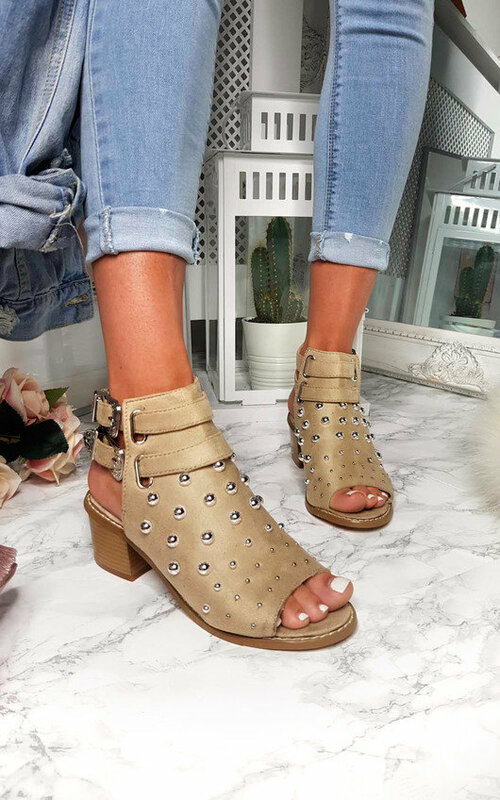 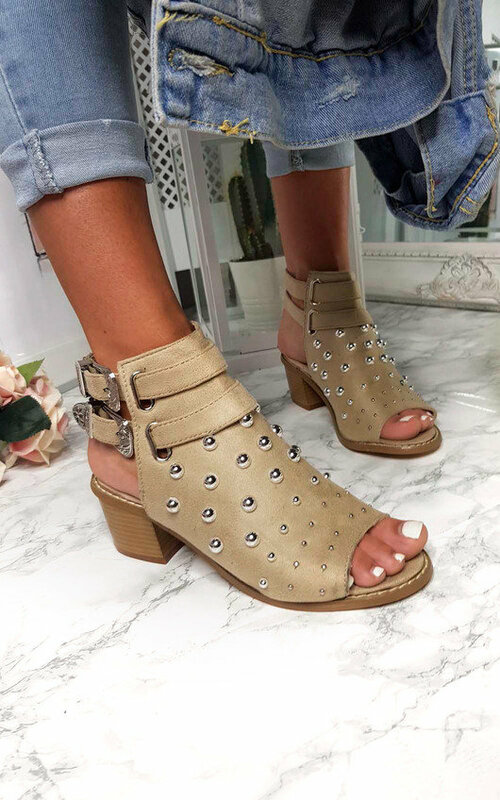 Featuring a cute buckle detail, block heel , studded detail and faux suede finish. 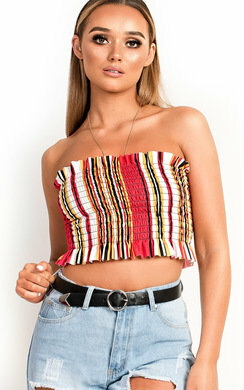 Team with mom style jeans and a cute crop!